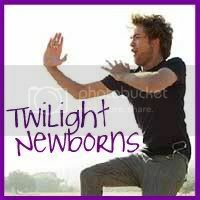 As a special treat, since I can’t shut up about Warm Bodies, The Newborns bring you the soundtrack songs in order of appearance in the movie along with quotes and action descriptions of the scenes in which they appear. Sadly, the soundtrack doesn’t officially exist, but if you’d Iike to create your own, now you have the tools and the knowledge. Happily, the Warm Bodies Score (here on Amazon) does officially exist for download. WARNING: this post and the score descriptions contain spoilers! Sad, lonely R in his airplane. I especially like the application of “my frozen heart tonight” lyric for a zombie. I doubt that’s what John Waite had in mind. Also R sees Julie for the first time (as she’s trying to shoot him with her badass shotgun). R relives Perry’s childhood memories of fireworks with his dad and Perry’s relationship with Julie by eating his brain. “I think I love you too, Julie.” Perry looks suspiciously like Edward in the meadow. R gives Julie a blanket and tells her he’ll “keep…you….safe.” Julie asks “what ARE you?” And R’s heart beats for the first time in awhile. Julie grooves to R’s records and R makes the twirly motion. He wuv her. 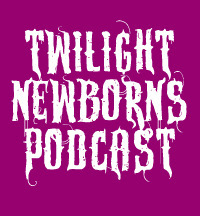 Playing with sunglasses, zombie DVDs, and trying out the slap game. Marcus thinks something is up. R and Julie drive in the rain after the escape from the airport Bonies. “As for us, we kind of learned how to live again. The humans began to accept us, connect with us, teach us. This was the key to the cure.” ”I have, uh, zombie fingers. Now you’re supposed to say I’m pretty too.” The walls come down. 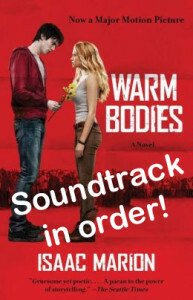 Also, check out the Warm Bodies Score! We LOVE this soundtrack. What’s your favorite song? what an amazing soundtrack! every song just fits perfectly with each scene…one of my fav movies for sure. thanks for listing all of the songs! I love almost ALL of these songs! This soundtrack has pretty much opened up a whole new (for lack of a better cliche) world of music for me. It’s so cool now to step away from my same old screamo music and listen to some indie-ish stuff! THANK YOU SO MUCH FOR POSTING!! !